Measurements: 35mm long X 11mm wide. Characteristics: These are ribbed and are wavy. They are the same on both sides. 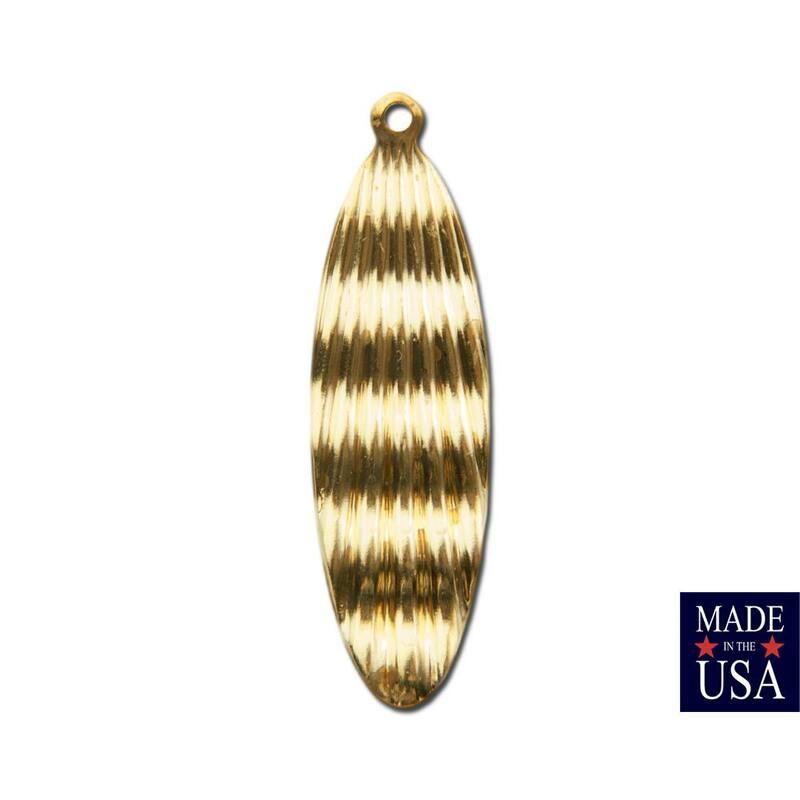 Great quality and finish, solid thickness; already paired this with copper teardrop bead purchased here. Even more, I love this shop because the owners are SO nice and accommodating. These are so shiny and lovely! Beautiful quality. They look like gold! I'm just so impressed by the quality of the items I purchased! They seem like they will be long-lasting! Love the slender look of these. 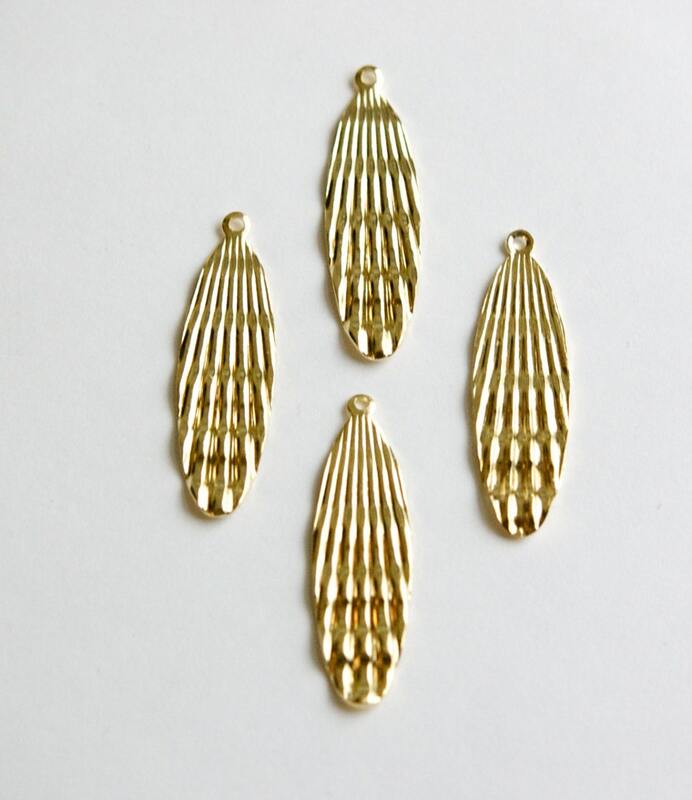 Perfect for earring dangles. Very elegant look!